A picture of the prayer chapel of the Monastery of St. Catherine in the Sinai. St. Catherine’s is one of the oldest monasteries in the world. I think we all believe in sacred silence, but the desert advice is a bit different. This sort of silence is as important to our Christian witness as prayer. In this silence we embody the “turning of the other check, going the second mile, doing unto others as you would have them do unto as you.” Those sayings and many other red letter words of Jesus are practiced by simply keeping our mouth shut. We underestimate the importance of training our bodies so that we may naturally function as God intended. We are made in the “image” of God and as we surrender our whole being to Him, He gives us the ability to do great things. 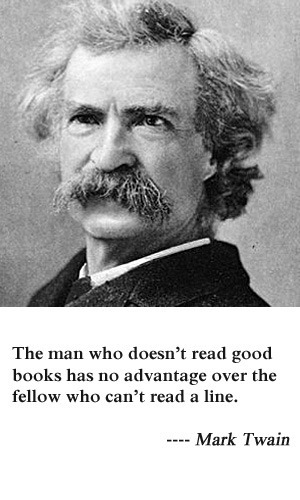 Mark Twain said, ”The man who doesn’t read good books has no advantage over the fellow who can’t read a line.” In that same vain, a person who does not control his body may as well be an animal who acts through raw instinct. The God stamp that dwells within us is our ability to think and reason and strive to change. The wisdom of the desert tells us to practice the silence of the closed mouth and to discipline our bodies in a way to bring us to spiritual wholeness. I heard a story about a Russian Monastery that was dying and declining. The brothers were growing old, many had died. The villagers had stopped coming to visit the monastery. Young men were no longer interested in dedicated themselves to the Monastic order. This decline led to worry and the loss of hope led to bitterness. In desperation the abbot went to visit an old hermit we had heard about. He hoped that the old man might have some wisdom. The abbot arrived after a long journey and explained their problem to the hermit. 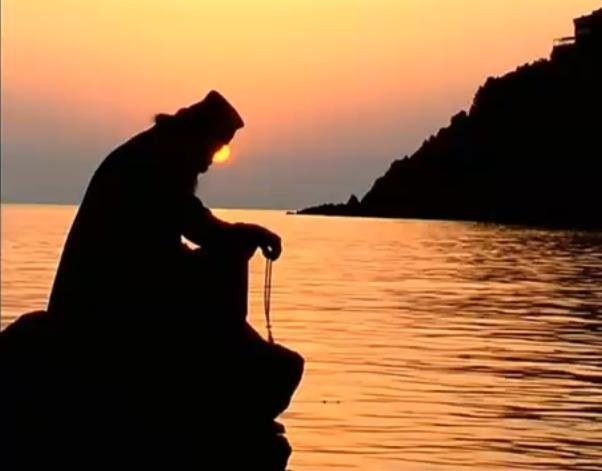 The hermit prayed for the abbot but said nothing more. The two men sat in silence for a very long time and the abbot patiently waited to hear some word of hope – a blessing, a prophecy, just something simple to try. Finally the abbot could abide the silence no longer and he begged the hermit for an answer. The hermit replied, “I’m sorry, but there really isn’t anything I have to tell you. I don’t know what the future holds for the monastery. I am sorry – oh, but there is this – I believe that the Messiah is in your midst.” The Messiah?, thought the abbot. Among us at the monastery. He rushed back and reported the unexpected news and the brothers began to question, “Who is it?” “Who among us is the Messiah?” Surely not Bro. Nicolaus, he gripes too much. Surely not Bro. Stavros, he is so whiney. But what if …? And on it went. Since Jesus is with us always, then discipleship is on-going and it is everyday. It is not something for a special day or a special evening or a special program. It is the pulse of every moment lived in the kingdom of God. Prayer and closeness to God is important to all believers. We have been taught for centuries that silence is a very vital avenue to a close relationship to our Creator. Today we exist in a world of clutter, noise and interruptions. The men and women who went to the desert felt very much the same about their world. Their journey was to escape those distractions to have a deeper and closer relationship with God. People who don’t observe silence have a difficult time understanding and respecting those who do. This saying deals with that issue. Abba John the Dwarf was focused in his work and prayer, the calling of a monk. (a Christian) The well-meaning visitor seemingly wanted to engage the monk through his compliment. He apparently had no sense that the way to truly engage the Abba was to join in his work and silence. In that apparent void was the presence of God. The continual “noise” drove God away. Through our conversation, our constant chatter, we crowd out the presence of God. Our challenge is simple. We must give God space in our lives. 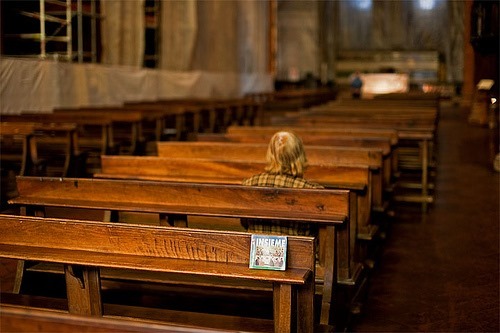 Don’t insist that God comes on your terms but rather take time to be silent enough for Him to sit beside you.